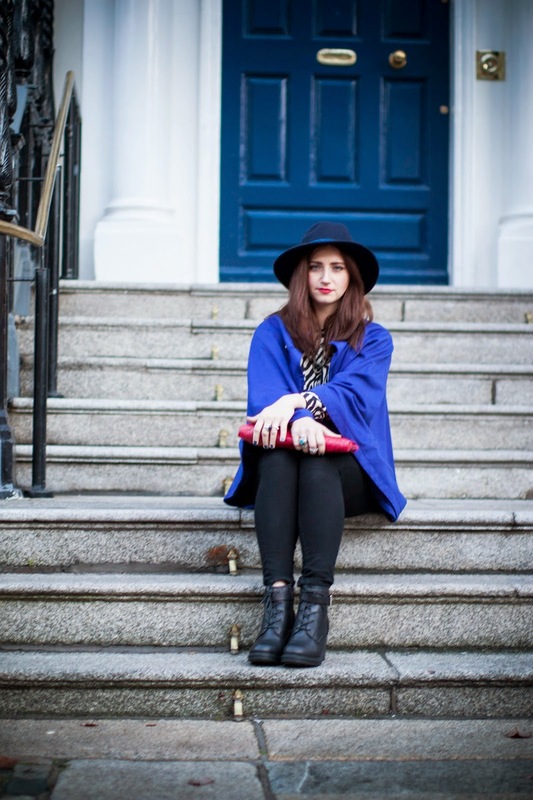 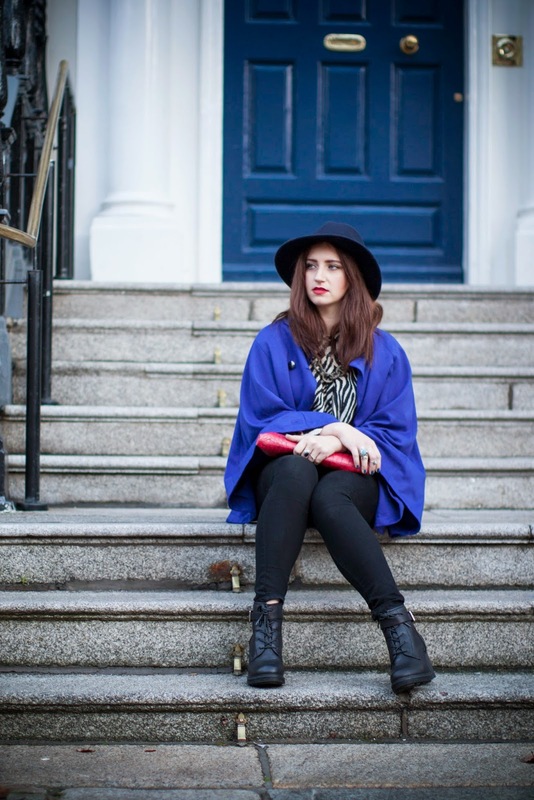 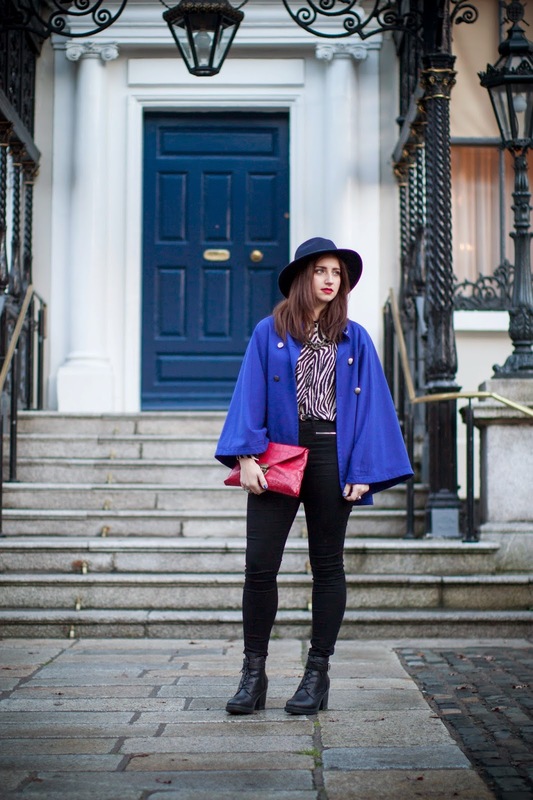 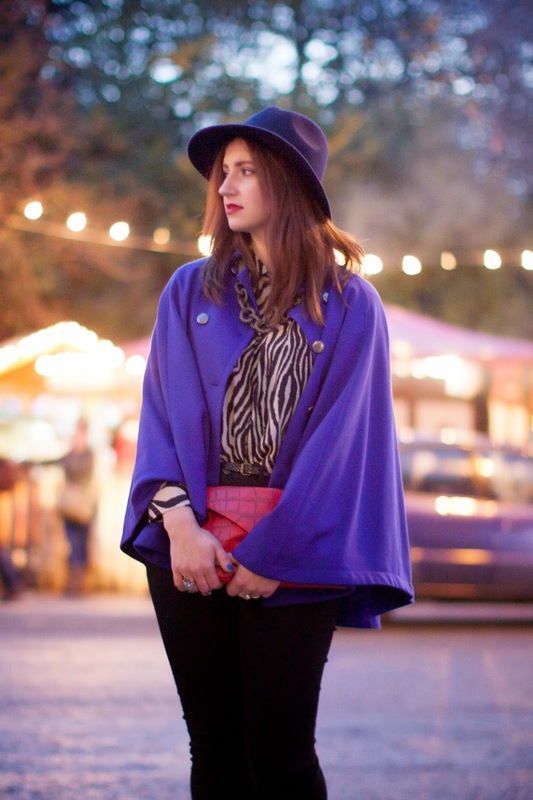 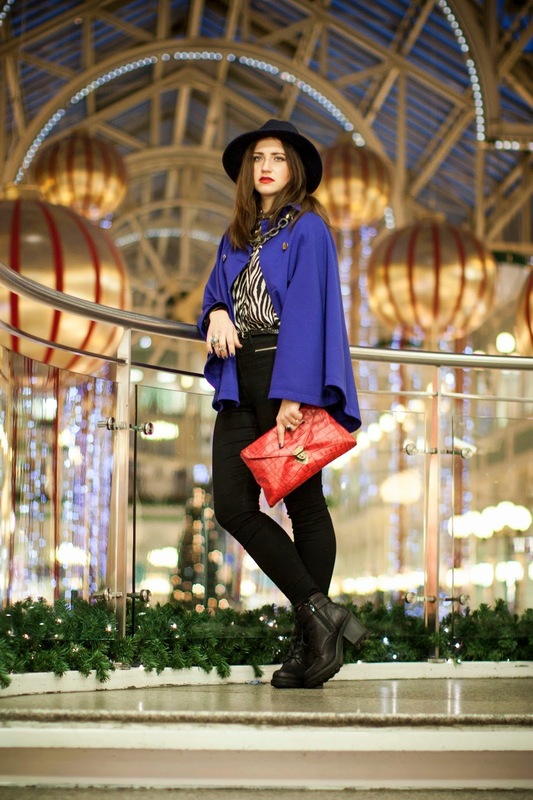 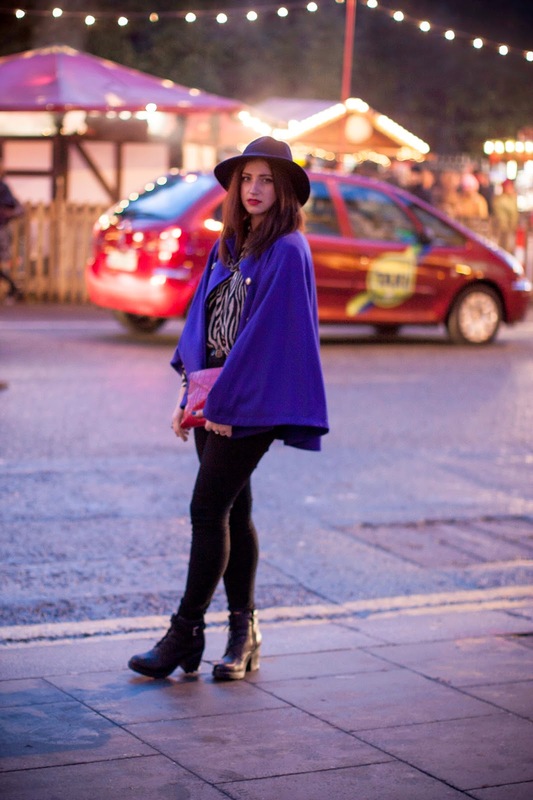 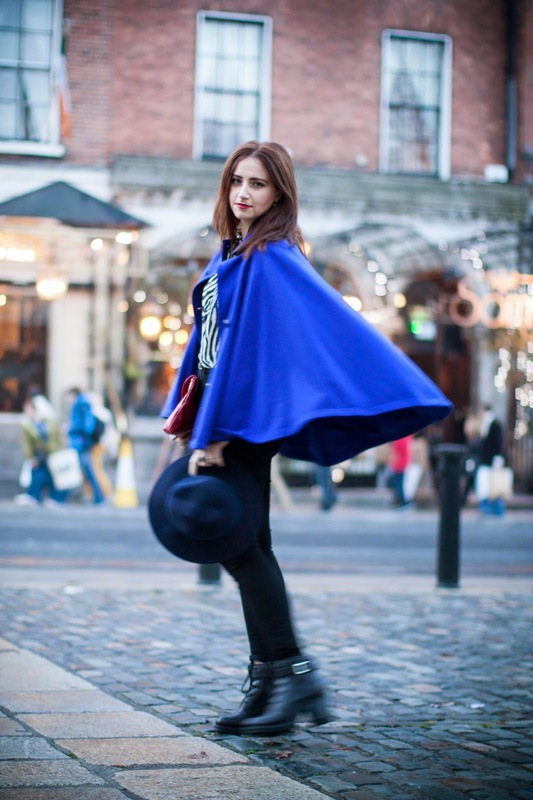 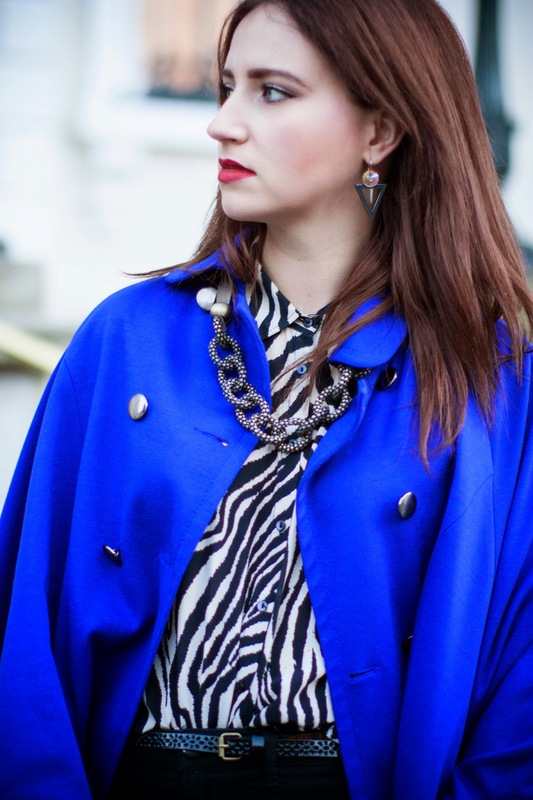 my royal blue cape I got in Penney's (primark) last year, but I actually found a similar one in sales on Asos. 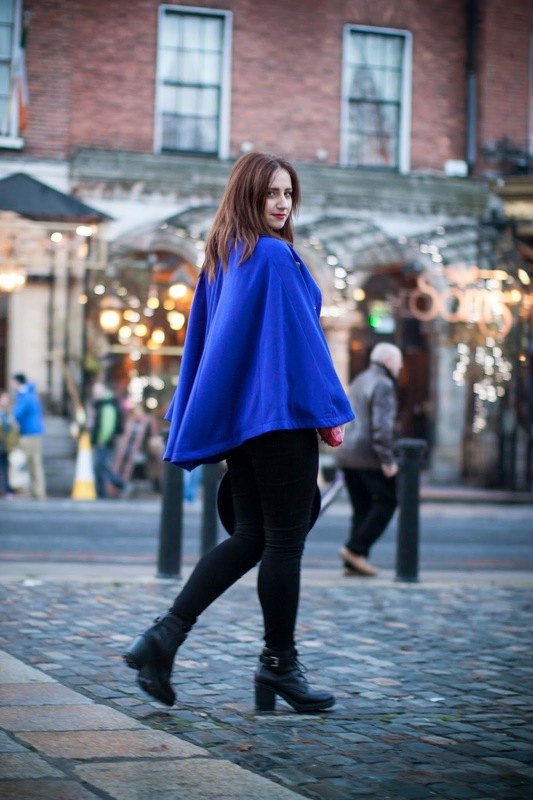 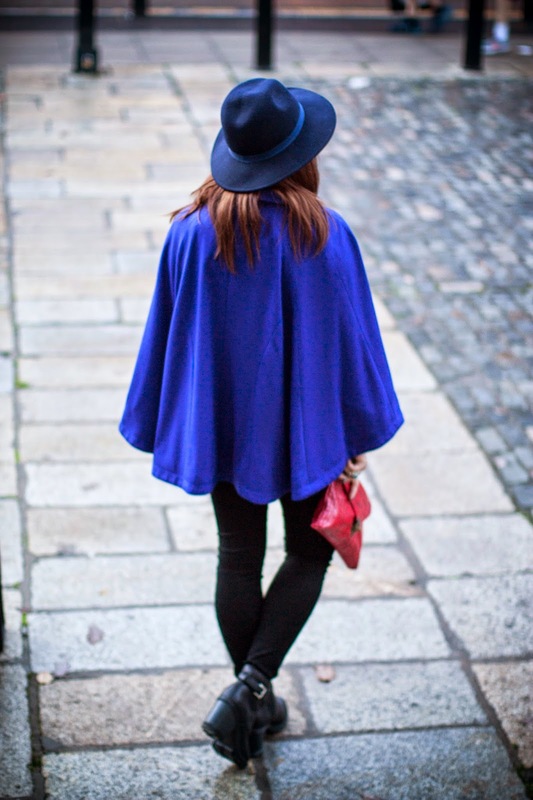 Capes are such a chic cover ups and you can really stand out from the crowd. 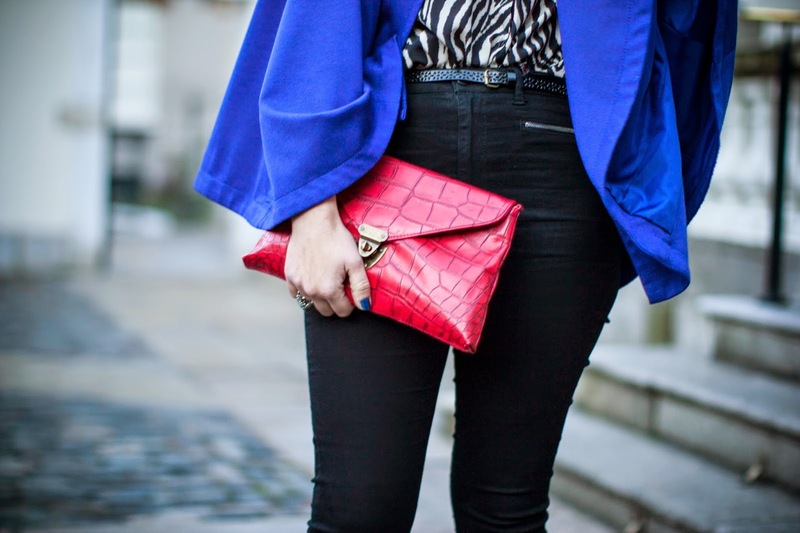 I went for a colour clash with my red clutch and lips, it really adds that extra edge to this outfit. 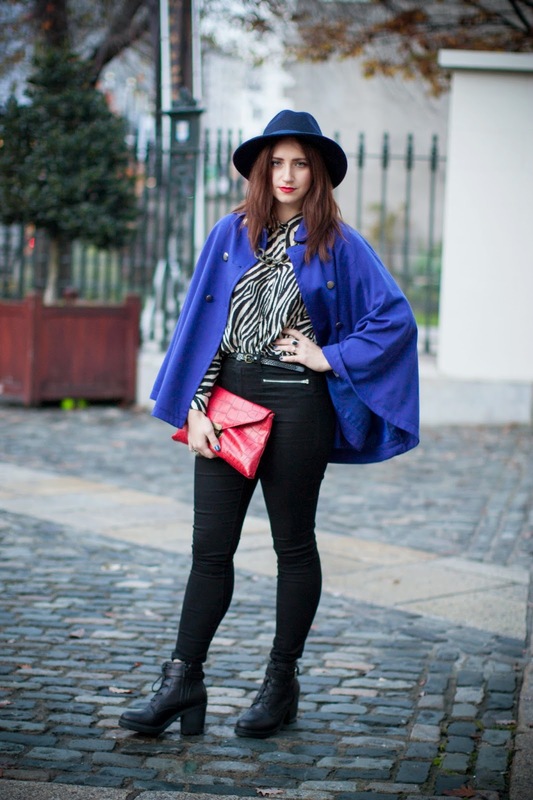 I wanted to keep the rest of the outfit in black&white, so the colour clash of blue&red would take the centre stage. 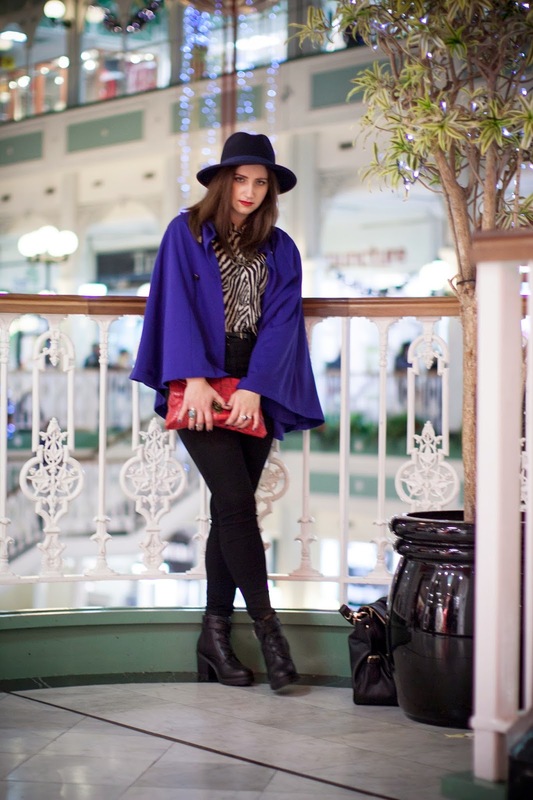 Keep in touch via FACEBOOK, INSTAGRAM or TWITTER.